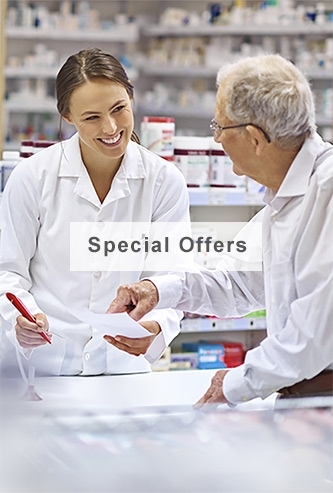 Reliable Medicare offers a large retail and wholesale orthopedic supplies section that is aiming to help osteoarthritis sufferers in the UK or anyone who suffers degenerative joint problems. People usually attribute knee pain to ageing or lack of exercise and keep putting off going to the doctors or simply avoid painkillers or drug treatments for personal reasons. Osteoarthritis is generally diagnosed by a doctor or GP and our products are not recommended unless you have a confirmed diagnosis. Our orthopaedic supplies section offers a wide supply of drug free naturally occurring hyaluronic acid injection, they come from a range of well known recognised EU approved suppliers with familiar brand names such as Syncrom, Synvisc and Fermathron. Each injection is made from naturally occurring hyaluronic acid which is a key component of the knee joint, one of the main effects of arthritis is a low amount of lubrication between the joints and bones causing friction and pain. This treatment works by injecting the man made hyaluronic acid directly into the joint capsule, the silky gel formula provides lubrication and adds a protective cushion to protect joints during impact. The injections aim to improve the condition by facilitating better knee movement, reducing the pain and pressure on the joints while slowing down the degenerative effects of arthritis. This treatment can be used as a drug free alternative or if other non-surgical options prove ineffective, it is best used alongside a rehabilitating exercise program that will improve the range of motion within the knee and effected muscles. It is not recommended for blood disorders sufferers or patients on NSAIDs/Aspirin treatment. Minor side effects include bruising, swelling or warmth around the injection area. Do not use on infected skin, bones joints or muscles.